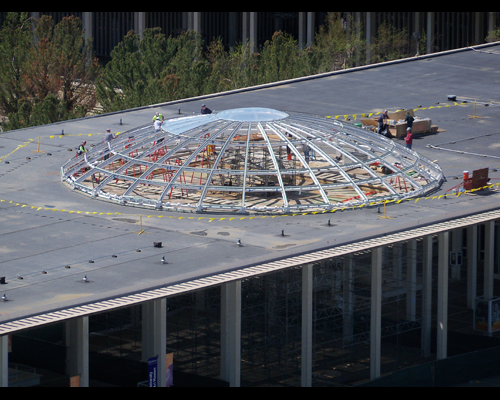 This project involves the construction of dome structures over three existing roof openings on the Academic Podium: the northwest corner between Social Science and Business Administration; the center of the Podium between Arts & Sciences and Fine Arts; and the northeast corner between Earth Science and Biology. 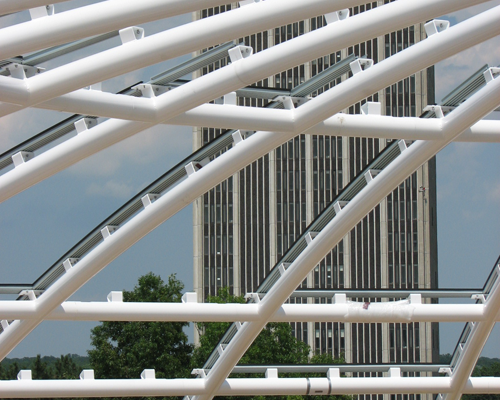 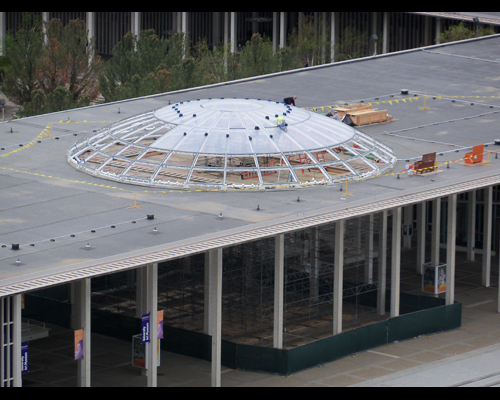 These new domes, which are consistent with the intent of the original designer of the Podium, are being installed to protect the physical facilities of the University, reduce maintenance, and create a more welcoming campus. 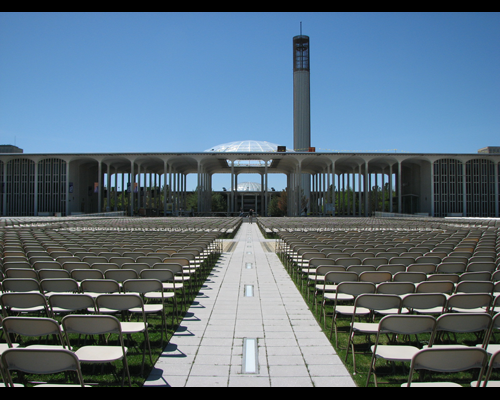 The University already has three domes on the Podium that were constructed with the original Podium in the 1960's. 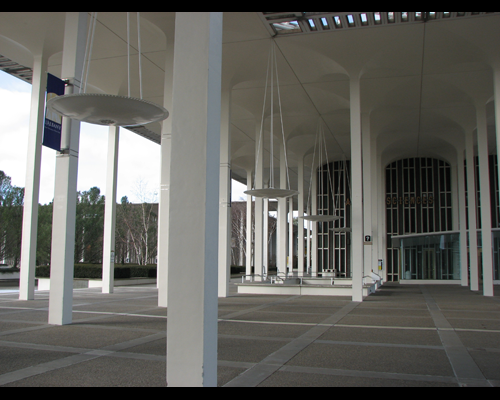 They cover the openings in front of the Campus Center, the University Library, and the Performing Arts Center. 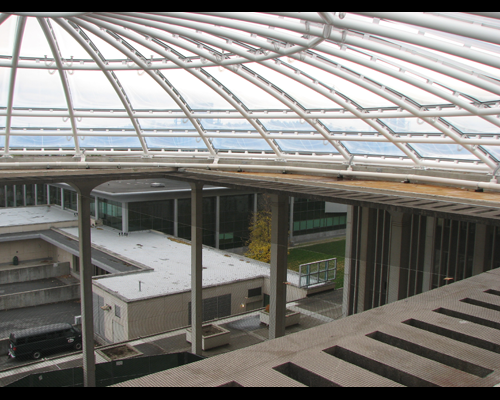 The condition of the concrete deck, stairs, and glass/steel window walls under these existing domes is quite good compared to other roof openings on campus without such domes. 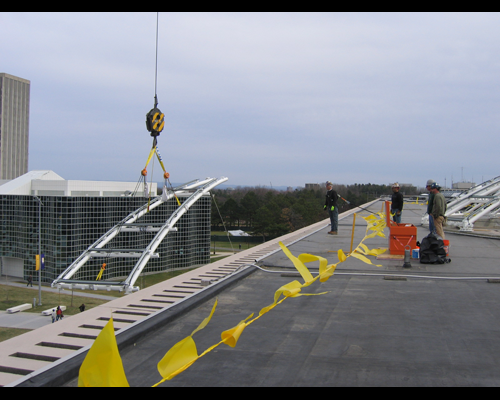 Indeed, these other open areas suffer from Podium deck leaks, corrosion to stairwells, and deterioration to the window wall structures. 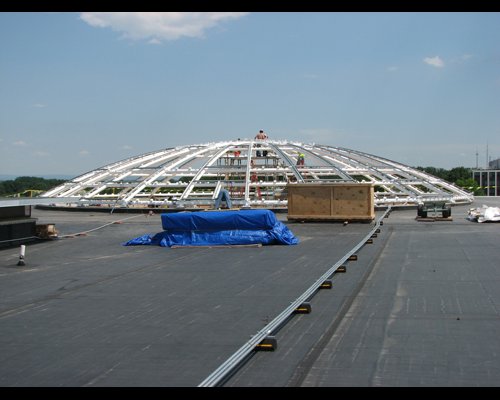 The new domes were so chosen to protect recent investments to replace the stairwells and window walls in these areas. 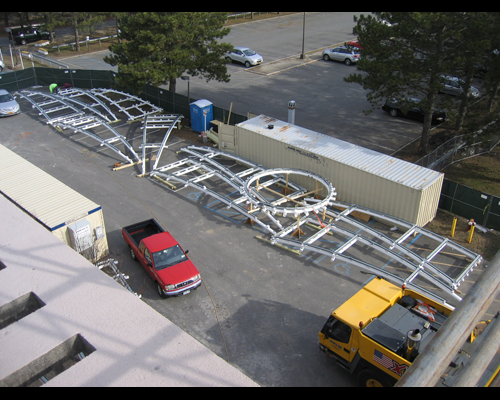 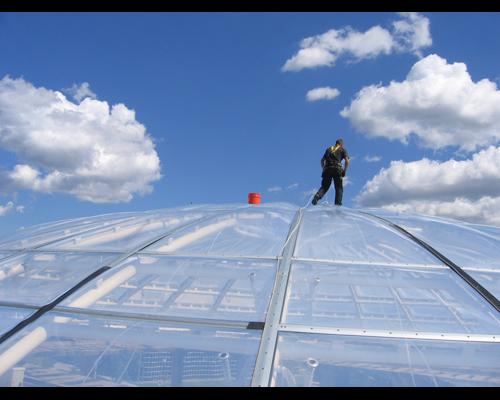 In addition, installation of these domes will also reduce annual maintenance costs, obviating the need for snow and ice removal in these key areas and also reduce the annual cycle of Podium deck re-caulking and routine concrete repairs. 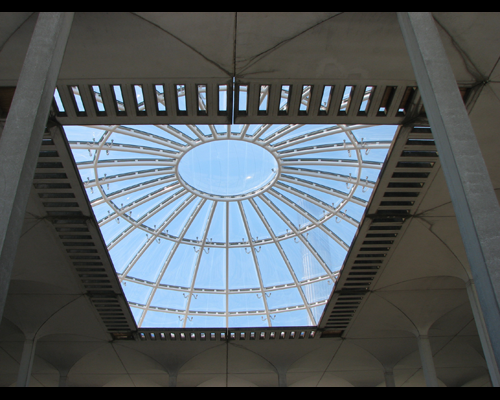 It is important to note that these new podium skylight domes continue the vision of the original Podium architect, Edward Durell Stone, who envisioned that many of the existing roof openings would have a dome to cover them. 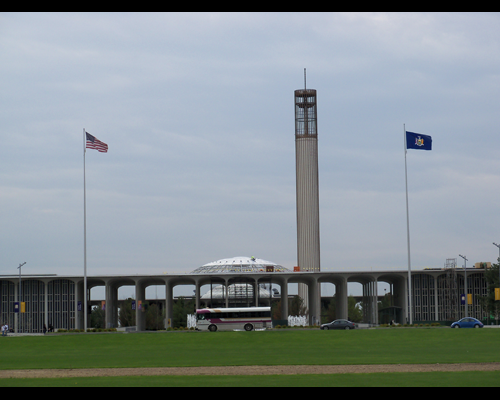 It is not entirely clear why only three domes were constructed with the original Podium, but architectural plans had assumed more would be built. 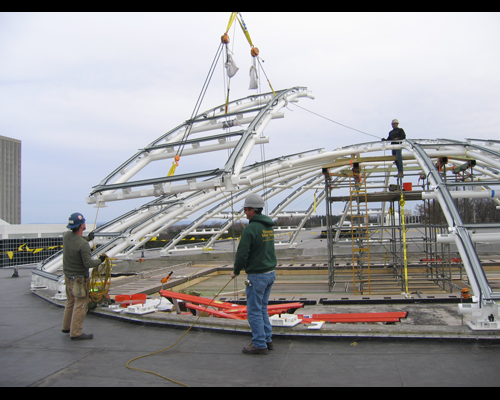 The domes being built today are lighter and stronger than the original. 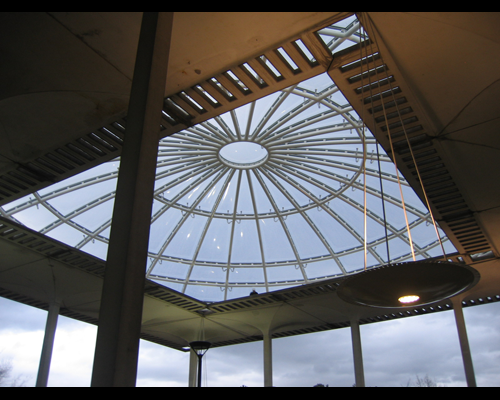 Unlike the original domes which are constructed of conventional metal framing with curved acrylic plastic panels, the new domes are fabricated with tubular steel framing, aluminum extrusion framing members, and clear vision panels or "pillows" of transparent ETFE foil. 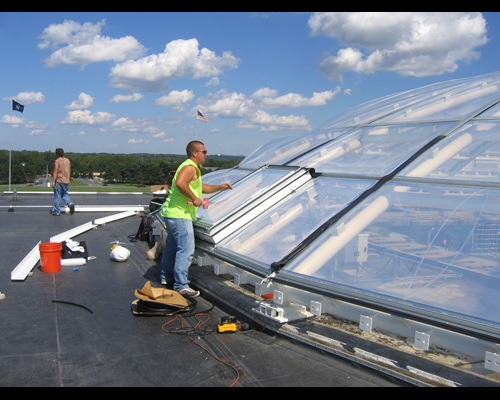 Each "pillow" is air inflated and provides for a lightweight, tough and durable enclosure. 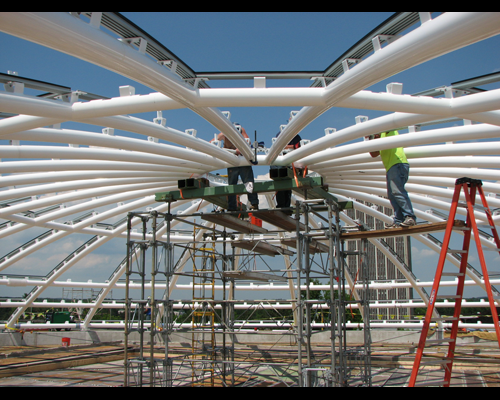 This ETFE system is similar to the skin of the Beijing National Aquatic Center a prominent feature of the 2008 Olympics. 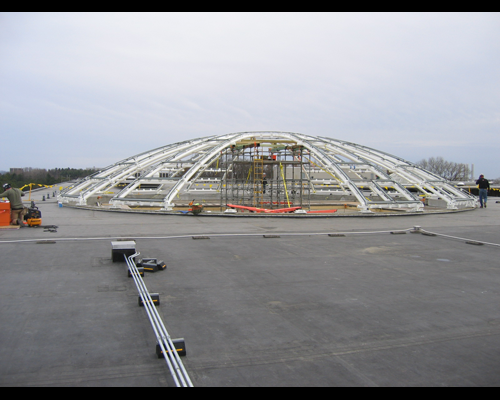 The domes being installed are between 73 and 86 feet in diameter and are 14 feet tall. 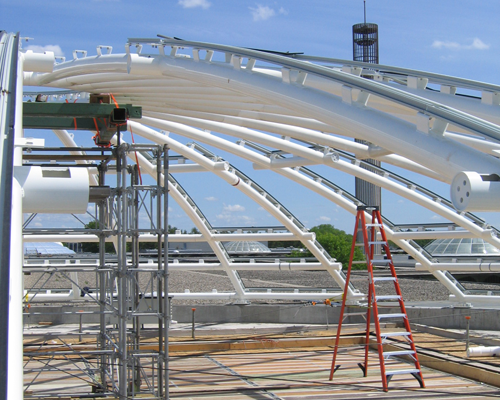 In addition to the installation of the domes, this project will also reinstall the hanging saucer light fixtures, a feature unique to the Podium. 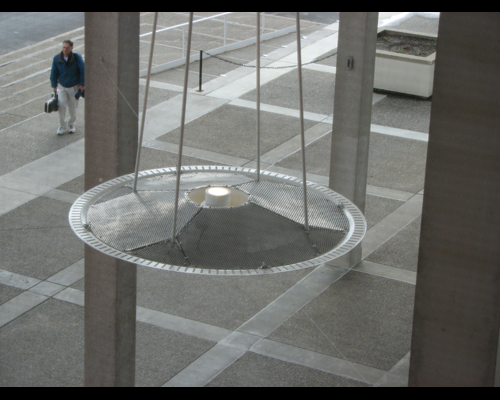 These light fixtures were removed many years ago. 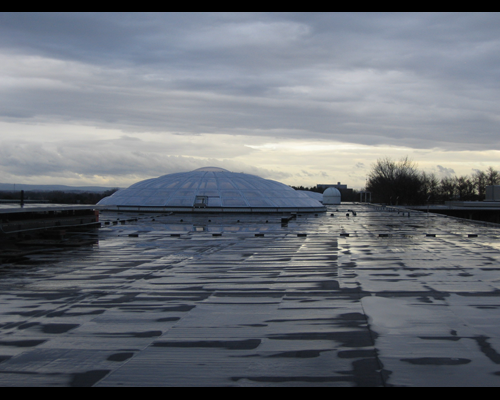 They will be fully refurbished and upgraded for modern energy-efficient lighting technology. 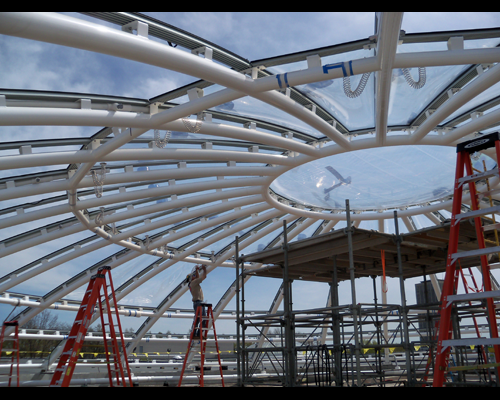 When complete, the areas under these domes will be protected from the elements, reduce maintenance, and create a better quality of life for the campus. 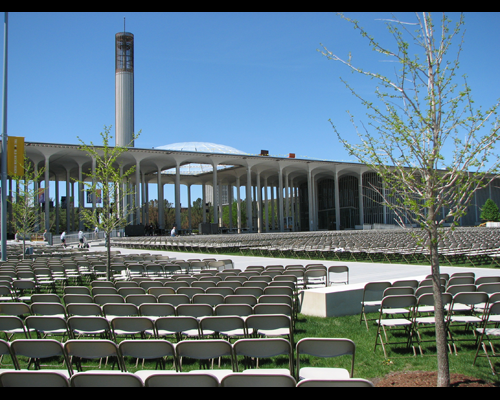 Most notably, the center dome, in the area directly in front of the attractive Entry Plaza, will be perfectly suited for outdoor, under-cover programming for University events.